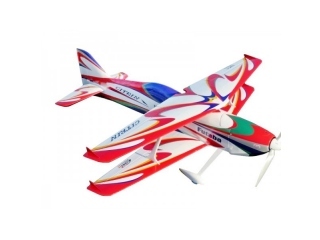 Ease into aerobatics in a BIG way, with the Fun Scale Decathlon. 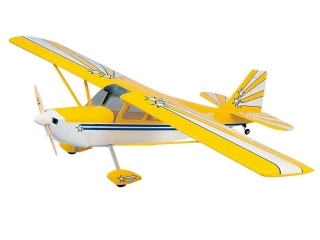 Since their introduction in the 1970’s, Decathlons have been the most popular choice of full-size pilots wanting to learn basic aerobatic maneuvers. 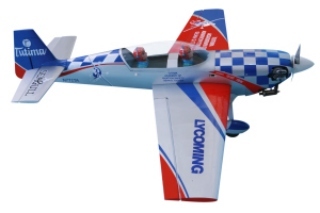 If you’re an aspiring R/C aerobat who’s ready to try your hand at performing loops, rolls and spins, Dynaflite’s Giant Scale Super Decathlon kit is the easy-building, impressive-looking model that will take you to the next level. 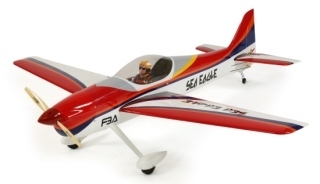 Features the proven Selig 8036 semi-symmetrical airfoil that delivers an excellent balance between aerobatic potential and low-speed handling. 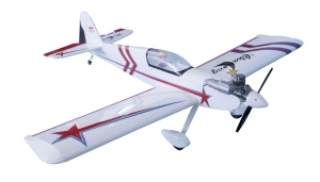 Flies well with a wide range of engine sizes—the U.S. Engines® 25 cc gasoline engine provides plenty of power for exciting aerobatics. The vacu-formed windscreen, ABS wheel pants and 3-piece cowl offer authentic scale touches without a lot of work. 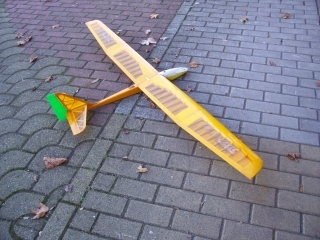 Included in the kit is a sturdy aluminum landing gear that stands up to less-than-perfect landings. An easy access servo compartment has been thoughtfully placed near the tail for optimizing balance if heavy engines are used.